I drew this for the Illustration Friday topic, midsummer. Just thought of the noise cicadas make in the summer and made a comic. I drew this for the Illustration Friday topic, shadows. I was playing Persona 4 at the time so I instantly thought of the shadow creatures from the game. 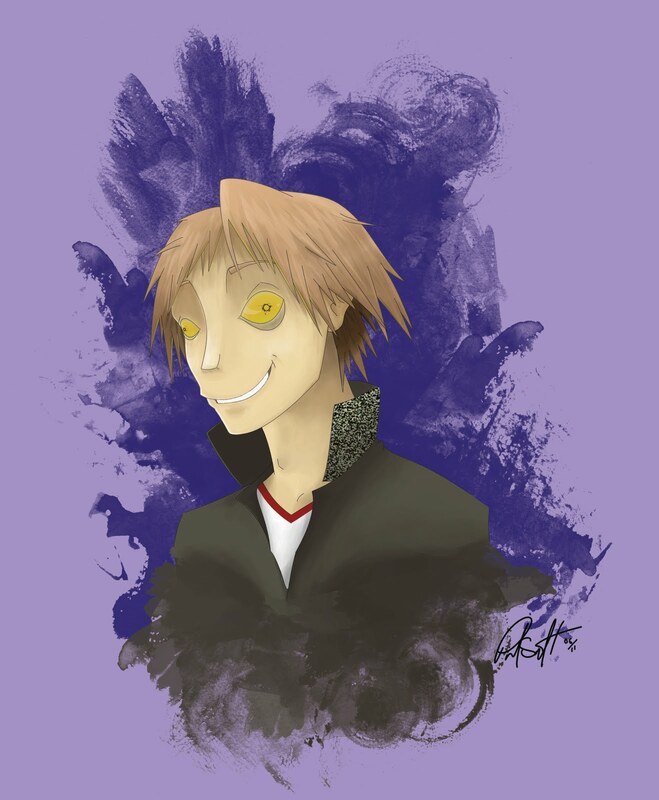 As well as what I drew here, Yosuke's shadow. During the game characters meet their shadow selves inside the television, the shadow represents a characters darker thoughts that they may not want people to know, but are still apart of who they are. The characters have to accept this as apart of themselves to gain Persona abilities.